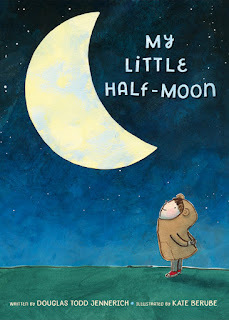 Douglas Todd Jennerich is the author of the new children's picture book My Little Half-Moon. He lives in Los Angeles. Q: How did you come up with the idea for My Little Half-Moon? A: The idea for the book came from an article I read many years ago, about nuns in India who were ministering to the lowest caste, the untouchables, who were living on the street. Mother Teresa and her nuns were giving aid to these people. I was reading an interview with the people they were helping. They appreciated most that the nuns would look them in the eye and recognize their human dignity. What I wanted was to envision something outside humanity that would be difficult to relate to…I can’t remember how I made the leap [to the moon]. A: Empathy is a huge theme here, the ability to relate to someone else who seems very foreign to you. 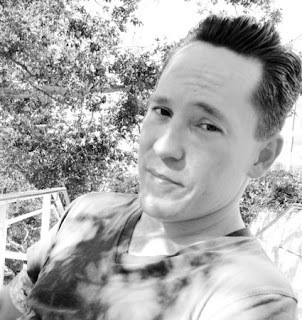 You empathize with someone you think you have [nothing] in common with; there’s always going to be a commonality if you take a moment to [connect]. Q: Do you have any favorite books about the moon? A: Goodnight Moon is always a favorite. There are a bunch of others…I always looked at the sky. I was a big stargazer. I was always looking for the moon, what phase the moon was in. A: A Light in the Attic, Where the Sidewalk Ends, by Shel Silverstein. Dr. Seuss, because his books are allegorical. They’re always about something larger than the world he created. Any fablist. I like a story that has a lesson to it. I can’t write a snippet-in-time sort of book. I want children to think. At least 50 percent, I’m writing to the parent. I love children’s books that I go back and read when I’m 20, 30, 40, and uncover themes I didn’t see as a kid. A.A. Milne—his books have such personality. Q: What do you think the illustrations add to the story? A: I can’t tell you how fortunate I feel that we got Kate Berube to illustrate the book. She’s incredible. We got to be friends, too. What I love is that it’s dark, it’s moody, the colors are incredible. You see children’s books, and the covers are often very white. This book looks deep and dark, there’s some mystery to it. There’s an emotion she creates with a few simple lines. If it were up to me, she’d illustrate every book! When they suggested her to me, and sent me sketches, I cried. They understood me completely. I wanted something classic, like old Paddington Bear and Winnie the Pooh, and she was even better! A: I’m always working on something. I just finished the first draft of my newest book. Like this, it’s an allegory. One of the main characters is an element of nature. This book has given me some trouble, but I’ve finally finished the first draft. I’m happy with where it is now. Q: Anything else we should know about My Little Half-Moon? Kate decided to draw the child so it could be either a boy or a girl, and had the idea that the promotional literature wouldn’t use a pronoun [so the child would be] gender-free…I really liked the idea.